Welcome everyone to Part 5 of my HP 39gii programming tutorial. 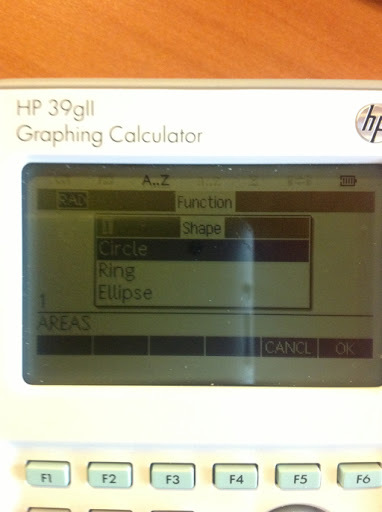 We are going to work with some graphic commands with the HP 39gii. 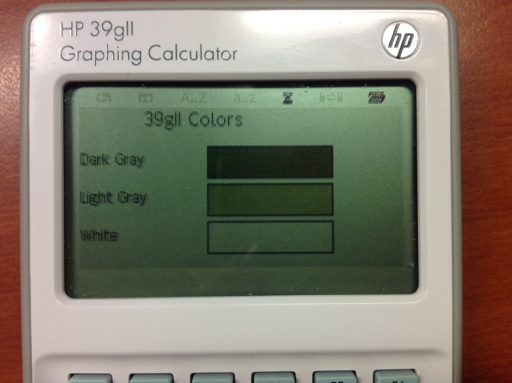 When it comes to graphics, the HP 39gii has two systems: points and pixels. 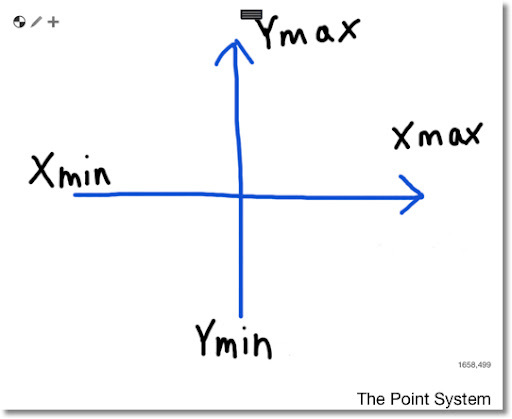 Points refers to Cartesian points. Points work just as you would expect: x increases as you go right, y increases as you go up. The boundary of the screen are controlled by the value of Xmin, Xmax, Ymin, and Ymax. Pixels refer to the LCD terminal screen. Unless you are working with the Plot screen, you are most likely going to work with the LCD terminal screen. In the pixel system, each coordinate is fixed. 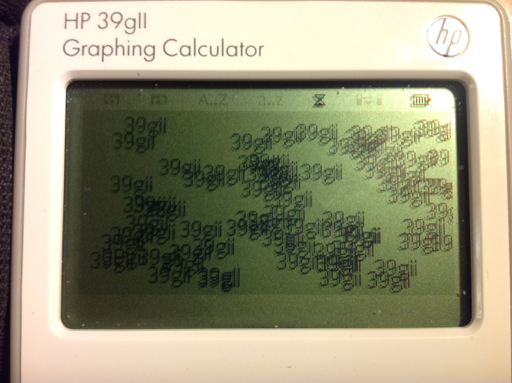 The 39gii screen is 255 pixels by 126 pixels. 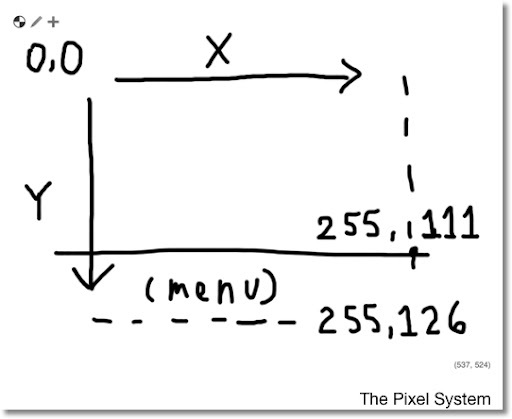 In the pixel system, the upper left hand coordinate is (0,0), and the bottom right hand corner is (254,125). The x coordinate increases as you go to the right, but the y coordinate increases as you go down. A row of (about) 14 pixels is reserved for the soft key menus (F1 - F6). In practice you would deal a screen of size 255 × 111. We will work with the Pixel system in this part of the tutorial. In a program, you will want to erase the drawing screen, and at the end, you will need a "hold" command. Erasing the screen is pretty simple. Whenever you want to erase the LCD screen, type RECT();. The "hold" command freezes the screen together to show you the picture. Without the "hold" command the calculator just returns to the Home screen. Two "hold" commands are WAIT(0) and FREEZE. I prefer WAIT(0) because the program continues with the press of any key and it works as expected. You can use color in the following commands. The color arguments are always optional. Let's use these commands in some programs. RTEXT places a desired string all over the screen at random. 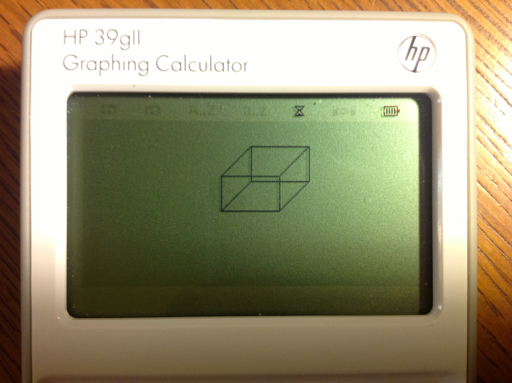 Draw a box with length of 60 pixels and height of 56 pixels. From the home screen type BOX(60,56). 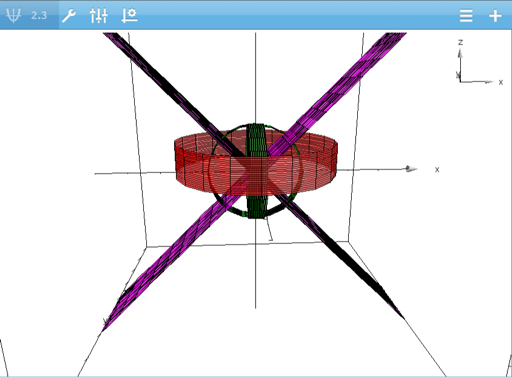 BOX3D takes the box drawing program one step further, by adding some depth to make the box look three-dimensional. 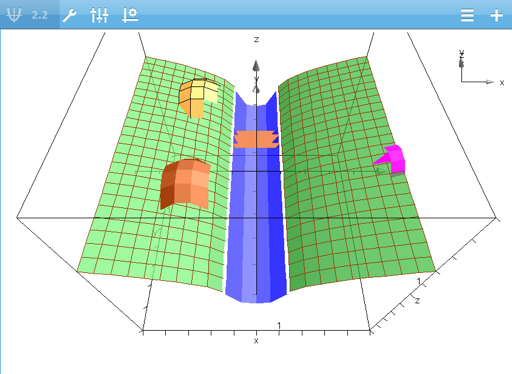 BOX3D sets the angle mode to Degrees. (HAngle = 0). Note: The order of the drawing commands is important, especially when it comes to the RECT and RECT_P commands. 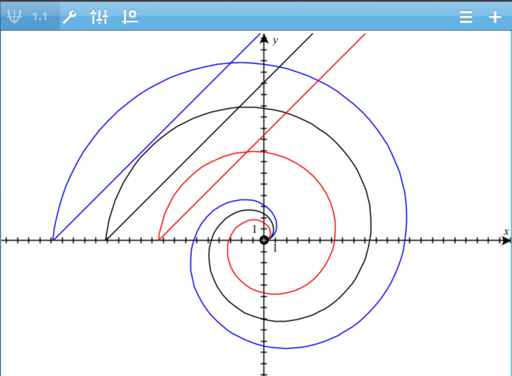 GROWTH is a program of an arc that grows by π/6 (30°) every second until a circle is completed. 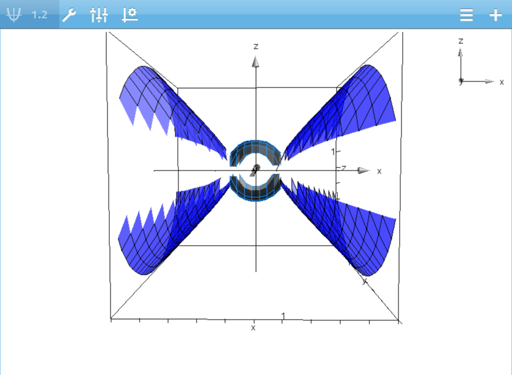 Radians angle mode (HAngle=1) is set in this program. CDEMO shows the three colors and the small font. You can cut down on the lines needed by using a clever mathematical equation and a well set up FOR loop. Well, I hope these five programs demonstrate what you can do with the graphing commands with the 39gii. As always, I hope encourages you to program and to try things out! In Part 6, we are going interactive! Hi everyone! 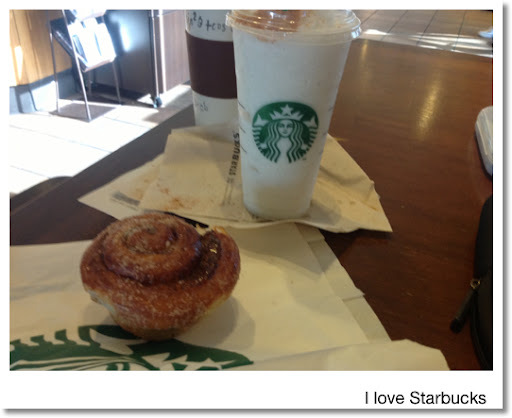 Greetings from the Starbucks in Azusa, CA. 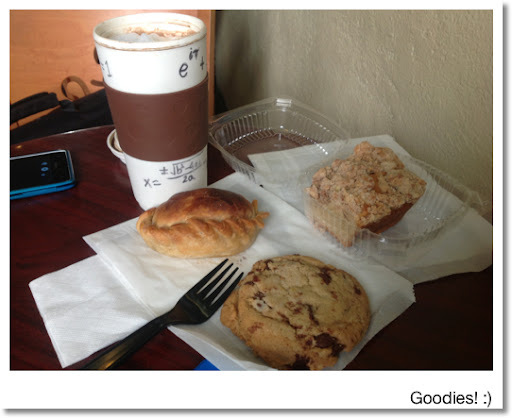 Today's blog entry is a hodgepodge. Part 5 of the HP 39gii Programming tutorial - I am planning to have that ready by next week; totally apologize for the long delay. I am very thankful my family is doing fine and my dad and uncle are both home from the hospital. Pocket Ref: A Book of Everything? 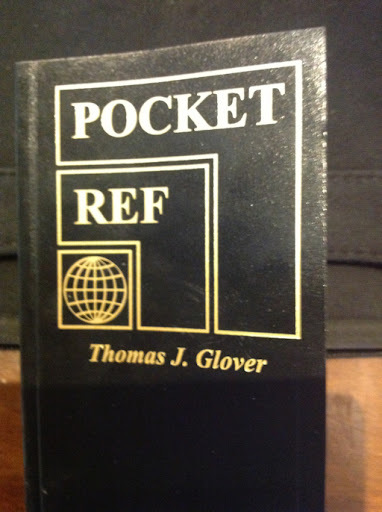 While at Harbor Freight I found this book: "Pocket Ref 4th Edition" compiled by Thomas J. Glover; picked it up for $10. This reference edition has practically everything technical: physics, computer, mechanics, construction, automotive equations, electrical engineering equations, table of elements and chemical molecules, weights, densities, and perpetual calendars; just to name a few topics. This book has become a permanent part of things I take everywhere. Hopefully this reference will be used for future blog entries. I finally broke down and got a new version of the TI-30XA by Texas Instruments. I have been resisting it for so long since I preferred the solar version over the battery version. What got me to finally purchase it is the article I saw on www.datamath.org, which details the logarithm bug. 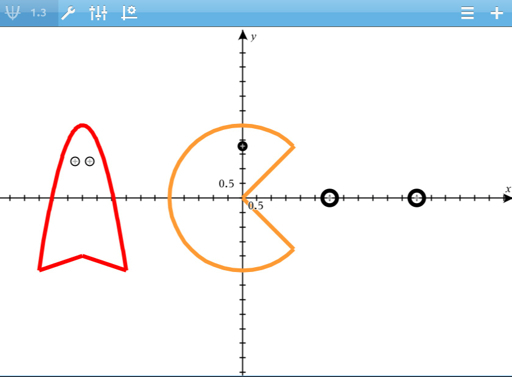 (2) (1+1/n)^n for really large n.
I tested both calculations for the calculators. I also used the built in calculator in the google.com search engine. If you type in a mathematical calculation in google, it will get you the answer! Google also handles conversions and graphing functions. 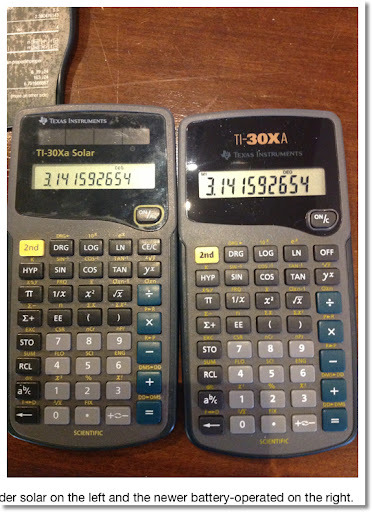 Both the TI-30XAs (solar and battery) returned the same answers, so nothing has changed in the algorithm. Out of curiosity, the TI-84+ agrees with Google. So this is a cautionary tale with the TI-30XA: be careful with arguments involving 1+x, where x is real small (like powers of 10^-6 or smaller) in any calculations involving logarithms and powers. On the plus side, the battery TI-30XA retains memory when the ON button is pressed and the numbers are larger and in bold. Speaking of Texas Instruments calculators, my TI-84+ C Silver Edition is going to arrive at my doorstep in the coming week. That was my birthday present to myself. 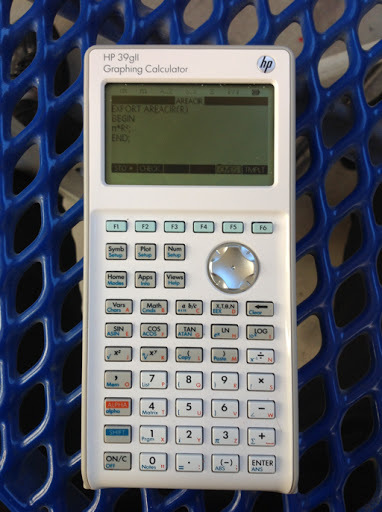 By clicking in this sentence, you can read how I initially felt about the TI-84+ CSE. I did read good reviews about it (This sentence is a link to one review, done by Christopher Mitchell (Cemetech). )and will give an impression when I actually have a TI-84+ CSE in my hands. 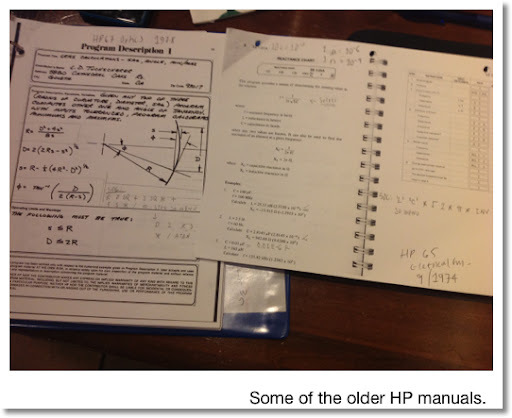 Old Hewlett Packard Manuals: They have a calculation manual for everything! 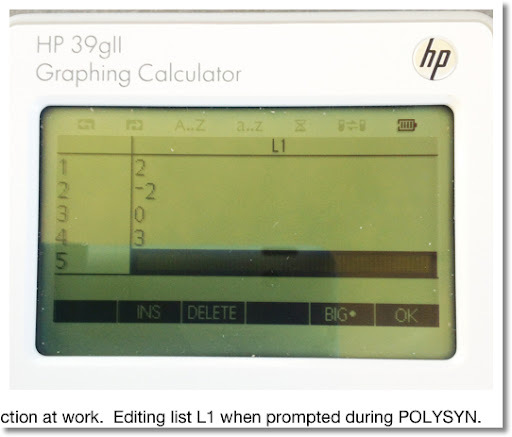 Back in the 1970s and 1980s, when pocket calculators were in their beginning stages, Hewlett Packard released detailed calculator manuals for not only their products (HP 35, HP 45, HP 67, etc), they had manuals covering almost every topic conceivable. To name a few: engineering, finance, games, biology, and one even covered astrology. Every now and then I like to study some of these manuals and try to see if I can do it (mostly with today's calculators). It is a really fun way to pass the time. Several years ago, I ordered the DVD that contains a collection of manuals from The Museum of HP Calculators. You can order the DVD by clicking on this link.. The link will contain another link of the manuals the DVDs contain. I hope to refer to these manuals in future blog entries. This lesson covers the REPEAT and WHILE loops. Each loop repeats a set of instructions indefinitely until a condition is met. The REPEAT loop executes the set of commands then it tests the condition. Hence in a REPEAT loop, the commands are always executed at least once. The WHILE loop tests the condition before executing the set of commands. It is possible that the commands in a WHILE loop are never executed. Loops (FOR, WHILE, REPEAT) can be nested That is, loops can contain other loops. The is demonstrated in the SQFACTOR program, and will be demonstrated in future programs. PRINT does not need the string command - expressions will evaluate automatically. This will allow to combine strings and mathematical expressions quickly with just the use of the plus sign (+) and the quotation marks (" "). MSGBOX makes everything in its argument a string, so it is best to use the string command. The program listed below demonstrates the difference. The goal of EUCLID is to use the Euclidean algorithm to find the greatest common divisor of two integers. The integers can be entered in any order. EUCLID takes the two integers as pass-through arguments. The program repeats until R=0. The program RSUM1 builds a sum of random numbers between 0 and 1 while the total sum is less than 1. RSUM1 takes no arguments. You can find the RANDOM command in the Math-Probability menu ([Math] [Math] [ 4 ]). To generate random numbers between 0 and 1, either RANDOM or RANDOM() is acceptable. Example sums you may get with RSUM1 are 1.29441419992, 1.28901948188, and 1.57880668903. The program SQFACTOR simplifies √N where N is an integer (i.e. √180 = 6 √5, √364 = 2 √91). It has one pass-through argument, N.
I am going to use the store arrow (STO>) accessed by the [ F1 ] key in the program editor. The store arrow is a thick dark arrow pointing to the right (▸). You can use the := assignment if you wish. 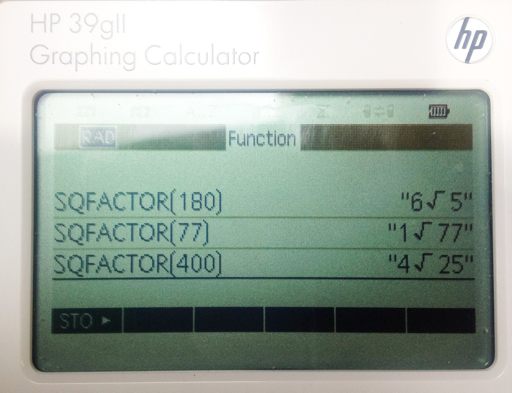 SQFACTOR(180) returns "6 √ 5"
SQFACTOR(77) returns "1 √ 77"
SQFACTOR(400) returns "4 √ 25"
OK The last one should be 20. However 4 √25 = 4 × 5 = 20. So this isn't perfect. Challenge: can this be improved? I will leave this for the readers. That is it for Part 4. Next time, we will cover basic graphics commands. Take care and have fun! D2B(number) - execute from Home! Run this from Home! B2D(string of 1s and 0s). Attempting to run B2D from the program catalog will cause an error. 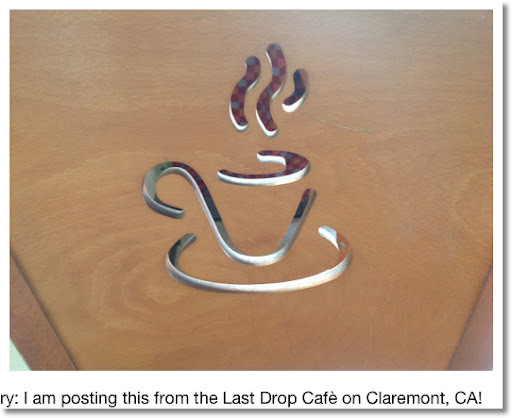 This blog entry: I am posting this from the Last Drop Cafè on Claremont, CA - in the college town near the Claremont Colleges. Quite a nice, cozy place. Good coffee too! The FOR loop is good construct when you want to repeat a set of commands an amount of times. The commands may (or may not) involve a calculation involving a counter variable. For each pass, the value of counter is incremented (or decremented) until counter matches a target number. The counter variable in this example is K. For the first pass, K=1. After 1 is added to A, then the loop ends. K increases by 1. For the second pass, K=2. On so on until the fourth pass where K=4. At that point, K is at its target value and the loop ends. Here we have specified the step size to be 0.5, which means that with each pass, K increases by 0.5 (from 1 to 1.5 to 2 to 2.5 and so on until K=4). 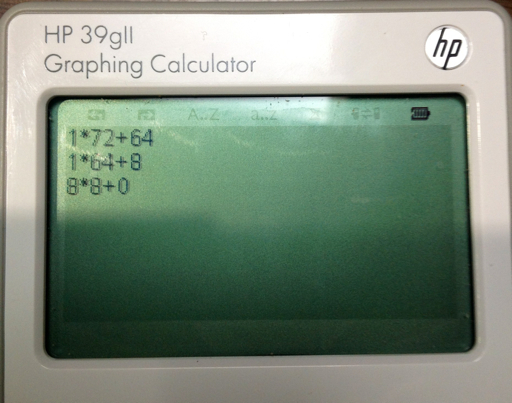 The FOR loop for the HP 39gii has four general formats. For loops with where the value of counter decreases, use the following two formats. Please note at the time of this posting, DOWNTO is an undocumented feature. I prefer just typing out the FOR-FROM-DOWNTO/TO-STEP-END structure manually. CONCAT This command puts two lists together as one. This puts the calculator in list editing mode. The command edits the list L# where # is a digit 0-9. You can use a localized list name if you wish instead of the global variable L#. If n=0, the calculator waits indefinitely. Press any key to have the calculator continue. This is great for freezing the screen to display certain results. If n>0, the calculator waits n seconds before executing the next step. Useful in loops and displaying multiple bits of information. n does not have to be an integer. The three programs CROOTS (Complex Roots), POLYSYN (Synthetic Division), and TIMER will demonstrate these commands. The first program to demonstrate the power of the FOR loop is the program CROOTS. This program finds all the complex roots of a given number. CROOTS finds all the Nth roots of Z and returns the answer in a list. CROOTS(-1, 3) returns [0.5 + 0.86603*i, -1*, 0.5 - 0.86603*i]. by the use of synthetic division. POLYSYN has no pass-through arguments. The program prompts L1, which is a list of coefficients of descending power to the constants. Please include zeroes whenever necessary. The value of R is also prompted. L1, R, and L2 are permanently updated. TIMER demonstrates a FOR loop with DOWNTO. The program takes one pass-through argument: the number of seconds. In Part 4 of the HP 39gii Series, we will deal with REPEAT And UNTIL. As always, thank you - I am grateful for your comments and following this blog. Have a great day! Who would have known that the ratio of a circle's circumference to its diameter would generate interest though out human history? π never ends, and over 10 trillion digits have been calculate. I have memorized about 15 digits. The digit zero (0) does not appear until the 32nd digit. According to Dr. James Grime, we can calculate the size of the observable universe using π with only 39 digits. There are many songs about π. 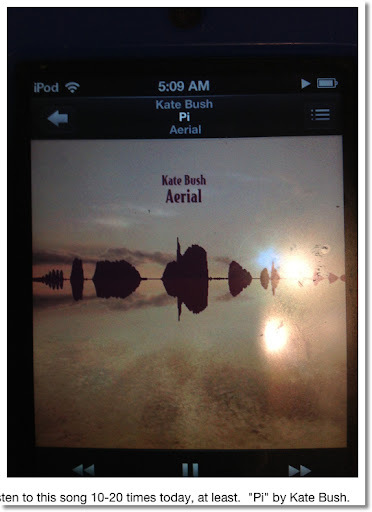 My favorite is "Pi" by Kate Bush (off the album "Aerial"). Tonight I plan to join desmos.com to participate in a π Day discussion. 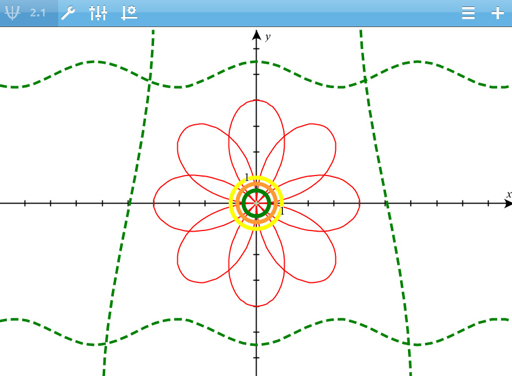 To celebrate my birthday and π Day, I am going to share some mathematical artwork, which was created using the TI nSpire CX CAS iPad App. The result of each comparison is either 1 (the comparison is true) or 0 (the comparison is false). One is by the STO> command, which usually lives in [ F1 ]. Let's use the IF-THEN-ELSE-END structure in an example. The program ISEVEN, which uses a pass-through argument, tests whether the given number is odd or even. I usually type the IF-THEN-ELSE-END structure. In the programming edit mode, you can also insert the template with the following keystrokes: [ F6 ] (TEMPLT) [ 2 ] [ 2 ]. ISEVEN(25) prints "25 is odd." ISEVEN(66) prints "66 is even." MSGBOX is a nice way to display messages in pop-up dialog boxes. The Universal Gravitational constant is about 1.069104 x 10^-9 ft^3/(lb s^2). KEPLER3 will also demonstrate the use of local variables. I recommend typing the command LOCAL. This program uses a pass-through argument, average radius. Access the "E" in numbers (stands for 10^) by pressing [SHIFT] [X,T,θ,N] (EEX). Test: If the Earth orbits the Sun in a (near) circular motion maintaining a radius of approximately 490,806,662,402 feet, then approximately how many days does it take the Earth to orbit the sun? 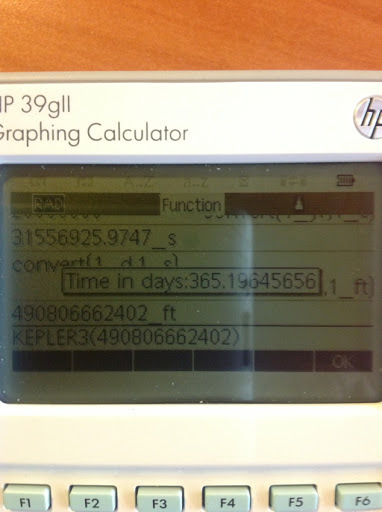 KEPLER3(490806662402) returns in a pop-up box, "Time in Days:365.19645656". Reasonable estimate don't you think? The choice number is stored in var. CHOOSE can be typed or called using the keystroke sequence [SHIFT] [Math] [ F1 ] [ 5 ] [ 1 ]. If the user cancels out of the choose box, then var will have the value of 0. var can either be a global real variable (A-Z, θ) or a local variable. 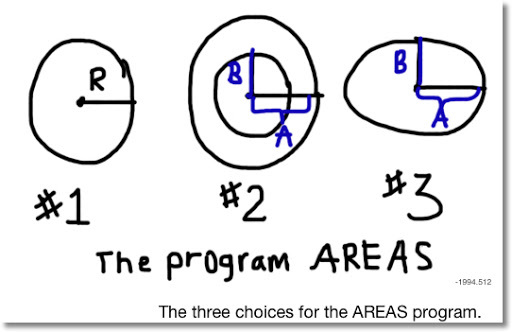 The program AREAS will offer the use a choice to calculate the area of three objects: a circle, a ring, or an ellipse. The area of the circle is attached to choice 1, the area of a ring is attached to choice 2, and the area of the ellipse is attached to choice 3. Caution: Do NOT use CASE. Despite the fact that the command exists in the calculator, the programming language does not support this command. I honestly have no idea whether the next update will correct this. A circle with radius of 7.26 should return an area of 156.585808948. A ring with the large radius of 2.07 and small radius of 1.83 will net you an area of 2.94053072376. An ellipse with semi-axis measurements of 2.3 and 2.6 has an area of 18.7867240685. In Part 3, the FOR loop will be addressed. Welcome to our HP 39gii Programming Boot Camp! 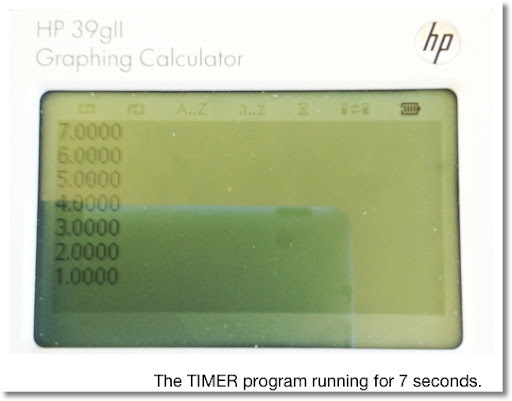 This is a six part tutorial series in order to get you started programming with the Hewlett Packard HP 39gii calculator. The language may be quirky and imperfect, but rest assured you can still accomplish many things with this programming language. 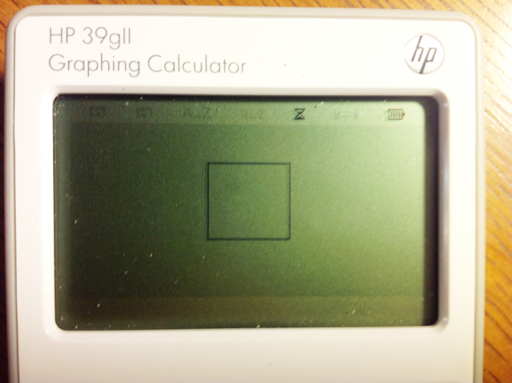 You can download the emulator here: http://www.hp.com/sbso/product/calculators-emulators/graphic-calculator-emulators.html. It works with Windows, it should work with the Mac (please don't quote me on this). Let's get started with our first program, AREACIR. 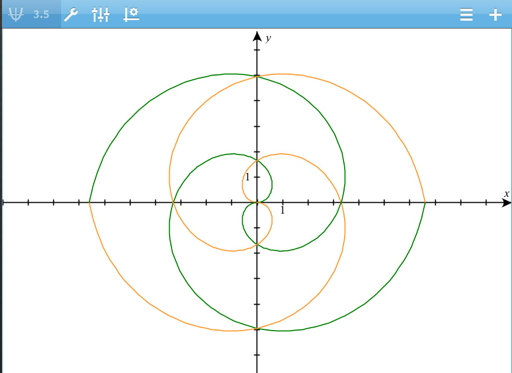 If you guessed that this calculated the area of a circle, you are correct. Gold star for you! 1. Press [SHIFT] [ 1 ] (PRGM). 2. Press [ F2 ] (NEW). 3. Enter the name of your new program. Use [ALPHA] for a single letter, [ALPHA] [ALPHA] to force alphabetical lock, and [SHIFT] to type lower case letters. 4. Press either [ENTER] or [ F6 ] (OK). You are off and running! A semicolon (;) follows the end of MOST program lines, all storing commands, and mathematical calculations. Any arguments that are passed through the program name are designated local variables. Local variables are variables that are used in the program and deleted when done. Global variables are variables that can be accessed inside and outside programming. 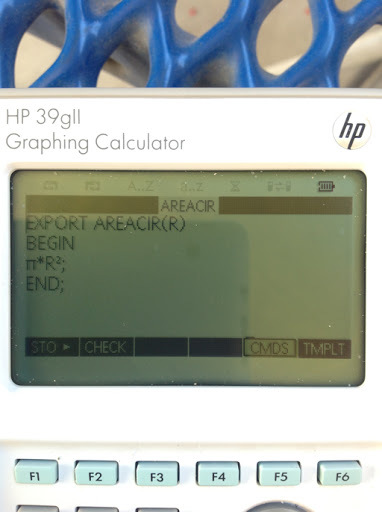 The HP 39gii restricts the types of global variables. Include as many variables as you want. When you select LOCAL from the Cmds menu, it will give you a set parenthesis. Erase them, LOCAL does not work with parenthesis. Let's get to our first program, AREACIR. AREACIR will have one pass-through argument, the radius. This program returns the area of a circle to the home screen. You can run programs from two places: the Home Screen or thought the Program Catalog. I recommend the former (Home Screen) if you have pass-through arguments. 4. Find the program you want to run, pressing [ENTER] or [ F6 ], twice. 5. If any pass-through arguments are required, include the parenthesis and arguments. Otherwise, just press [ENTER]. You may also type out the program's with any required arguments. 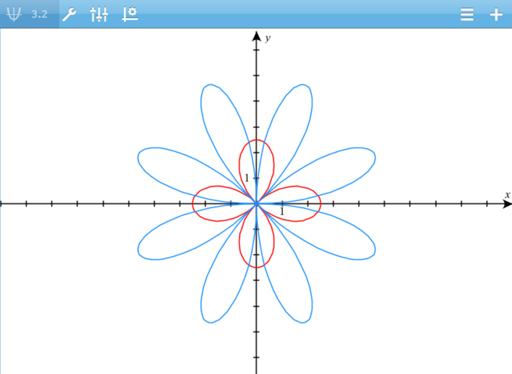 Find the area of the circle with radius 17.5 units. The area is approximately 962.112750162. Our next program will do the same as AREACIR, except instead of using pass-through arguments, we will use prompting and displaying answers on an output terminal. 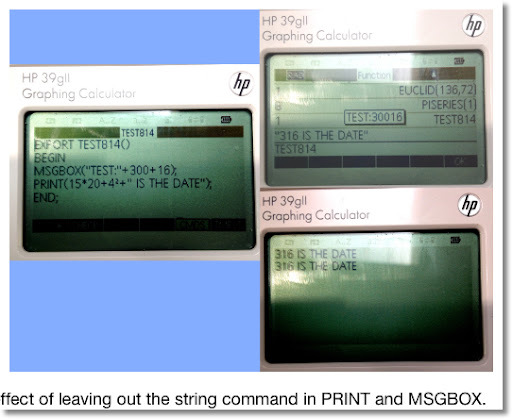 INPUT can have more arguments, check the HP 39gii manual. INPUT only works with one variable at a time and works only variables that can be global. INPUT does not work when promoting for strings. In practice, I recommend that you use pass-through arguments instead of INPUT. Note that strings of text are connected with the + operator. This commands evaluates a mathematical expression and makes the result a string. This is useful for displaying text with mathematical calculations. Command can be typed, but the command must be typed in lowercase! Running AREA1: Type or call AREA1 at the Home Screen. Since there are no pass-through arguments, you won't need parenthesis. When you press ENTER, that string will be returned to the Home screen. Part 2: IF-THEN-ELSE, MSGBOX, and CHOOSE. Thanks to HP - I was able to get 39gii up and running again. I am currently writing Part 2. I aim to get at least Parts 1 and 2 up by next week. 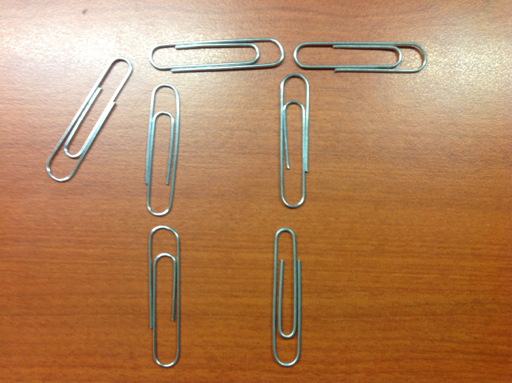 Pi Day (March 14) is one week away! Any suggestions? How do you celebrate Pi Day? 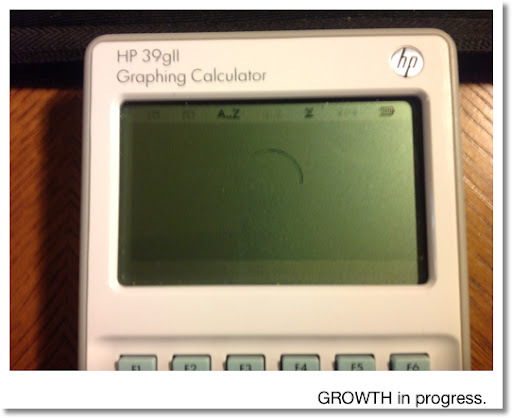 With regrets, I am going to have to delay and/or cancel the HP 39gii calculator programming tutorial series. My 39gii is giving me problems - it has an issue with freezing. Apologies. I will give an update as soon as I can.